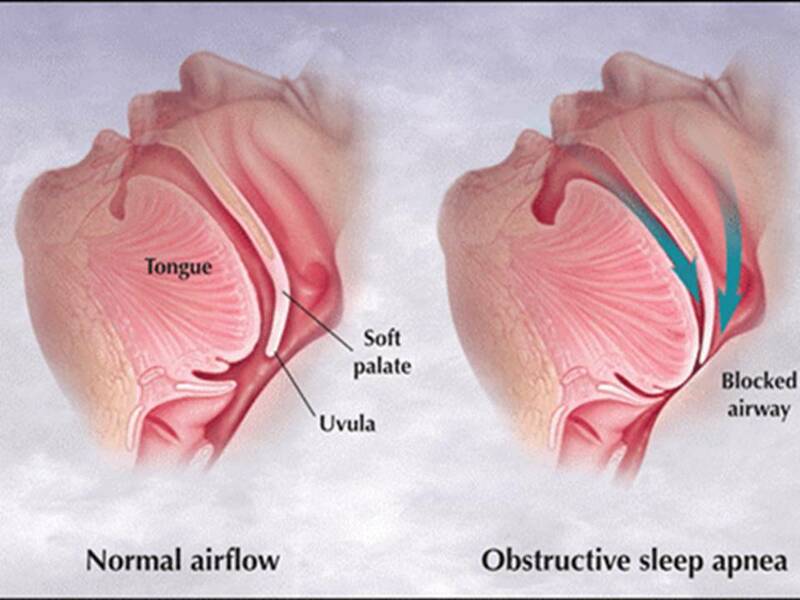 Sleep Apnea is a very serious disease and untreated can lead to many chronic diseases, some of them life-threatening. In the treatment of sleep apnea you should check all available treatments and methods that fit you and help you to get more oxygen into the bloodstream and open the airways. Lack of oxygen into the bloodstream affects every organ and the whole body. Few of the classical medical treatments are using CPAP machine, oral appliances or surgery to open the airways. Surgery is a very invasive method of treatment and not always efficient, depending on the cause of the disease. Beside these, home salt therapy is a natural treatment that can be use alone or in connection with other treatment. Home salt therapy by Saltair device, releases microscopic particles of salt into the indoor air for breathing. There is no mouthpiece, no face mask, just breathe freely. If you use a CPAP machine during the night, use home salt therapy more during the day. Salt therapy is highly recommended because it helps to reduce inflammation, clear the mucus and open the airways. The microscopic salt particles are able to travel to alveoli in the lungs, where the oxygen intake takes place, and improve oxygen absorption. This will lead to better sleep and increased well-being. Salt Therapy for Pneumonia Treatment: A Medical Breakthrough? Nearly three million Americans are diagnosed with pneumonia on a yearly basis. The worst part about this is that this statistic has not been decreasing over time even with our modern pneumonia treatment. The sickness itself has been known to come in different forms but produce the same effects. 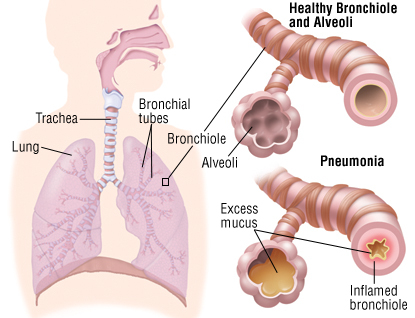 Pneumonia is characterized by the inflammation of the alveoli, the small air-sacs in the lungs. The alveoli are known as small sac-like containers within the lungs that act as filters that take in oxygen and break it down into usable substances for the body. Pneumonia attacks these air-sacs and causes them to swell up and malfunction, bringing all forms of respiratory problems. Pneumonia is manifested in different forms depending on what kind of infection the alveoli incur. You can either get pneumonia that is based on a bacterial, viral, or fungal infection. Treatments for each type differ because the source of the infection is different. What are the Pneumonia Symptoms? There is a type of pneumonia called walking pneumonia. The main difference is that the symptoms are much milder. While pneumonia causes high fever and productive cough, walking pneumonia may involve a very low fever and dry cough. Walking pneumonia is always cased by a bacterial infection. The bacteria can be latent in your body and your immunity system got used with it and does not strongly fight against it. As mentioned earlier, the type of pneumonia will generally determine what type of treatment is needed. A wide variety of antibiotics and antidotes are available for bacterial and viral pneumonia. Fungal pneumonia requires a special diet and anti-fungal medication to get rid of the fungus that is causing the inflammation in the lungs. Halotherapy is a broad term used to describe salt treatments or salt therapy for breathing conditions. As surprising as it may sound, halotherapy is becoming one of the most popular methods of treatment when it comes to respiratory illnesses around the world. By changing the form of salt into either a liquid form or an aerosol form that can be inhaled, salt can be used to prevent respiratory infections and ultimately lessen the symptoms of pneumonia. The salt is known for its antibacterial, antiviral and anti fungal properties. On top of helping with the inflammation by fighting infection, breathing the salt aerosol helps to remove the mucus within the lungs. Salt is a potent mukolytic and helps to fluidize the mucus and quicken its elimination. The salt being antibacterial, antiviral and anti fungal, salt therapy helps in fighting all three types of pneumonia and speed up recovery. A very efficient method is by using a salinizer device directly in your own home. A salinizer is a salt machine that releases tiny particles of salt in the indoor air, for easy breathing, usually during the night sleep. This type of salt therapy at home allows long term exposure to the salt aerosol, that is necessary in all chronic respiratory problems. It is recommended a 7-8 hours daily exposure to salt therapy to fight and speed-up recovery from pneumonia. Constant use of home salt therapy, on a regular daily basis, have proved to minimize lung infections, increase respiratory immunity and improve respiratory health.